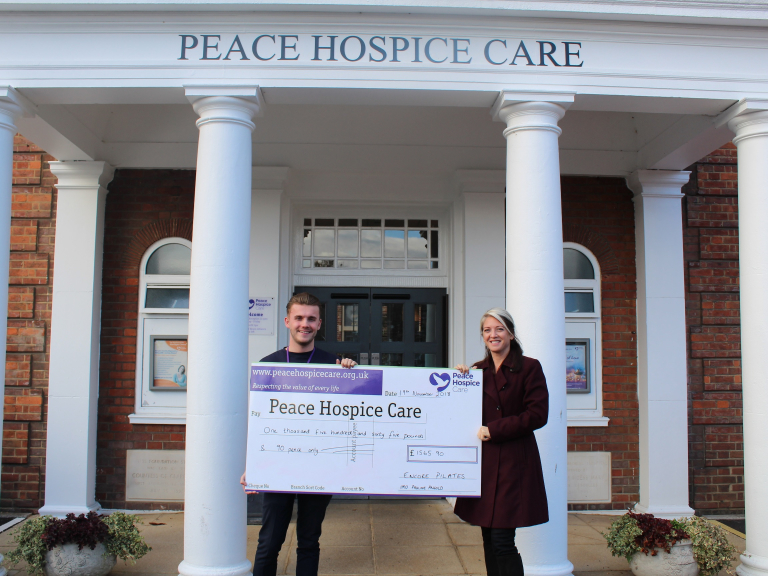 Nikki Avron, owner of Encore Pilates, presented Peace Hospice Care with a cheque last month to mark the £1565.90 raised for the Charity at her Pilates Day fundraiser in November. The event took place in memory of Nikki’s friend and colleague, Pauline Angold. Peace Hospice Care needs £5 million a year to run its free services. For every £1 of income received by the charity, less than 20p comes from the NHS.